Reportedly a target for Liverpool, PSG's Kevin Trapp is ready to move in the transfer window, according to his agent. Paris Saint-Germain goalkeeper Kevin Trapp wants to leave in the transfer window in search of regular football, according to his agent. The Germany international, who was signed from Eintracht Frankfurt for around €10million in July 2015, has failed to displace Alphonse Areola from the first team this season. Crystal Palace have recently been linked with an ambitious attempt to bring the 27-year-old to the Premier League, while he has also been linked with Liverpool due to concerns about the form of Simon Mignolet. His representative, Jorg Neubauer, has admitted Trapp will look to move on from the Ligue 1 leaders if they are willing to sell next month. "If there's a chance in the winter, Kevin wants to leave Paris," Neubauer told Sport 1. Speaking last month, Trapp suggested he was eager for more playing time in order to bolster his chances of making Germany's squad for the World Cup. "If you want to go to the World Cup, you have to be playing. We'll see what happens," he said. 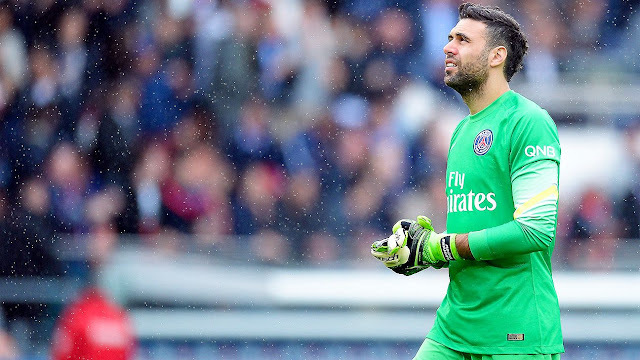 PSG will ask for close to €15m for the keeper, according to reports in France, as they look to counter the risk of Financial Fair Play sanctions following their world-record spending on the likes of Neymar and Kylian Mbappe this year. Javier Pastore has also been linked with a move away from Parc des Princes in January, while Goncalo Guedes has been tipped to make his loan move to Valencia permanent.